What’s Foodarama Living? A wonderful new way for the whole family to live better and save money, too! Foodarama gives you a supermarket selection of fresh and frozen food at your fingertips. Save time by shopping less . 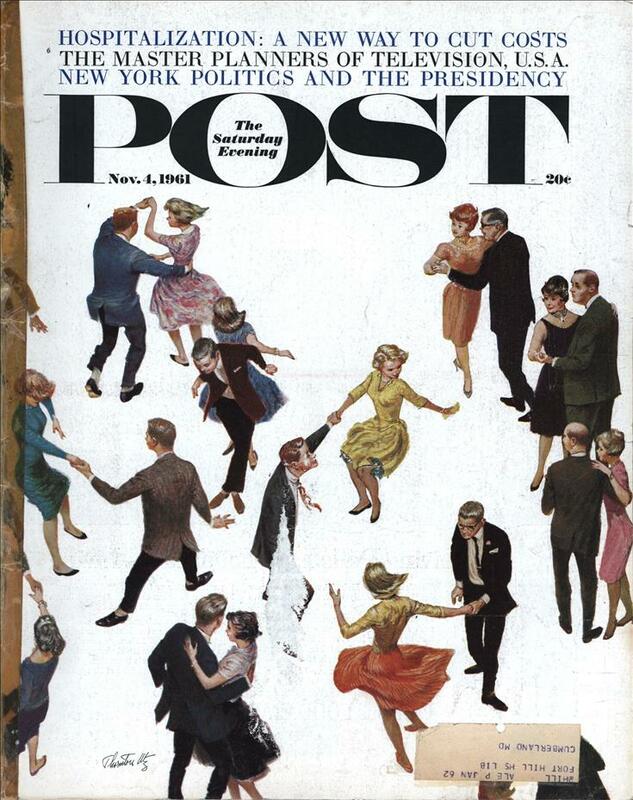 . . save money by having room for “specials.” Entertaining’s more fun . . . you can prepare everything in advance. With Foodarama, you never have to defrost either the refrigerator or freezer. 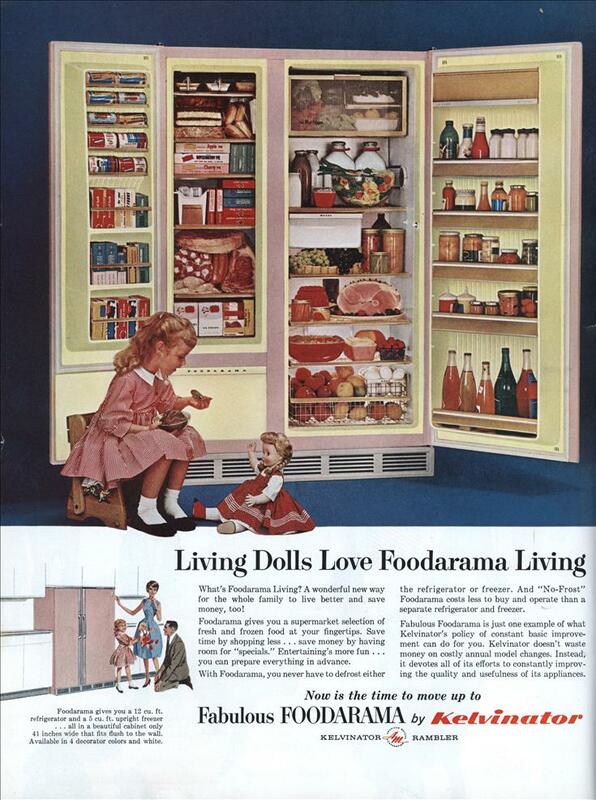 And “No-Frost” Foodarama costs less to buy and operate than a separate refrigerator and freezer. Fabulous Foodarama is just one example of what Kelvinator’s policy of constant basic improvement can do for you. Kelvinator doesn’t waste money on costly annual model changes. Instead, it devotes all of its efforts to constantly improving the quality and usefulness of its appliances. Where’s the turkey? In old fridge ads there’s always supposed to be a turkey without any covering. Jari: What, you’re not satisfied with the uncovered ham? Or the unwrapped beef in the freezer! And that red jello-mold is really nice. That can’t be a freezer, there’s no vodka in it. @ Jari – They have half a cow in that fridge, who needs a turkey! @ Tim – The kid drank it, why else would she be sitting there trying to feed her doll with all the fridge doors open? Maybe the artist has an issue with scale… the small print says its a 12cf fridge with a 5cf freezer. No turkey, fish or pork…most have been a member of the beef PAC.